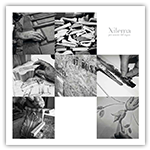 The perfect marriage between the tradition of style and construction techniques, and the unmistakable quality of solid wood doors Xilema. An ideal line for elegant and refined rooms, customizable by choosing from a wide range of models, colours, decorations and accessories. A collection with a modern style, specifically designed following the evolution of housing trends. In the Essence Line, shapes and profiles are renewed, without ever losing focus on quality. The models, characterized by a simple and linear style, are manufactured with the great attention to detail that distinguishes all the Xilema products. Projects suited to every space. Wainscoting is now a real piece of furniture, and it completes and enriches the most elegant houses. The Xilema wainscoting are available in linear or detailed options, and they try to combine the needs of style and functionality.